Prime Minister Shinzo Abe of Japan notified the United Kingdom that this nation would be welcomed to join the Trans-Pacific Partnership (TPP) after leaving the European Union (EU). This will be welcomed by Prime Minister Theresa May of the United Kingdom given recent negative publicity and internal challenges within her own political party. Japan openly values the EU and several Japanese companies have relocated to other European nations since the Brexit vote opted to leave the EU. Equally, Japan was rather forthright on the negative impact of the Brexit vote when it was first announced. However, it now seems that Japan is looking further ahead and hoping that the United Kingdom will strengthen the TPP after America agreed to pull out based on the policies of President Donald Trump. Abe stressed that the United Kingdom would only be allowed to join if it set its own trading tariffs and left the EU customs union. 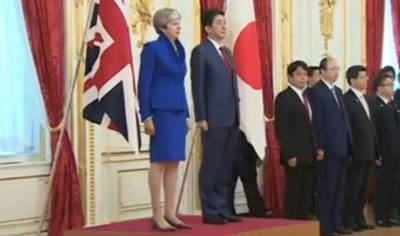 The leader of Japan is worried about a no-deal between the EU and the United Kingdom. It remains to be seen how May will respond to Abe. However, even if the United Kingdom doesn’t join the TPP in the short-term or long-term, it still highlights how many new opportunities await this nation.